On Thursday, we had the Y10 speech competition on during fourth period. There were five speakers from different classes, and they spoke on different topics like the English language, feminism, and why students shouldn’t use their cellphones in class. It was a really nervewracking experience and I thought I was going to stuff up but I got through it and I felt really proud! 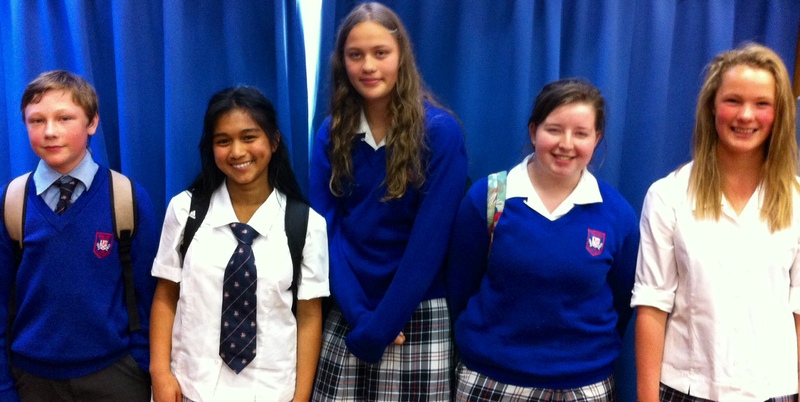 Third place was Jade Mitchell, second was Rachael Wilson and first was Kiya Basabas. Their speeches were amazing! Mr Cargill thought it was the best standard of speeches in a Y10 speech competition ever. This entry was posted in Celebrating Success, From the Classroom, Student Voice and tagged English, Gus Mawby, Speech Competition, Speeches, Y10 Speech Competition. Bookmark the permalink.